Ubisoft has made a decent attempt at supporting the virtual reality game space in recent years. 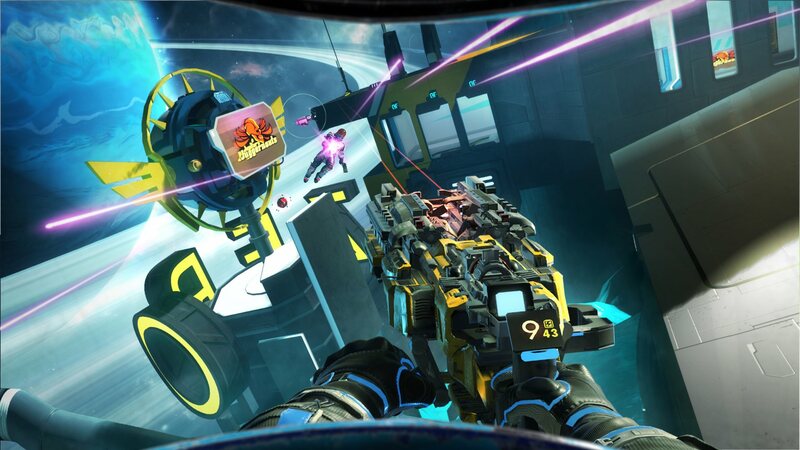 The publishing giant has released four games for both the PSVR and PCVR platforms since 2016, with Space Junkies being their fifth. While all of those games are vastly different from each other, they do share some commonalities. The first is that they are generally lower-budget games with a single hook. 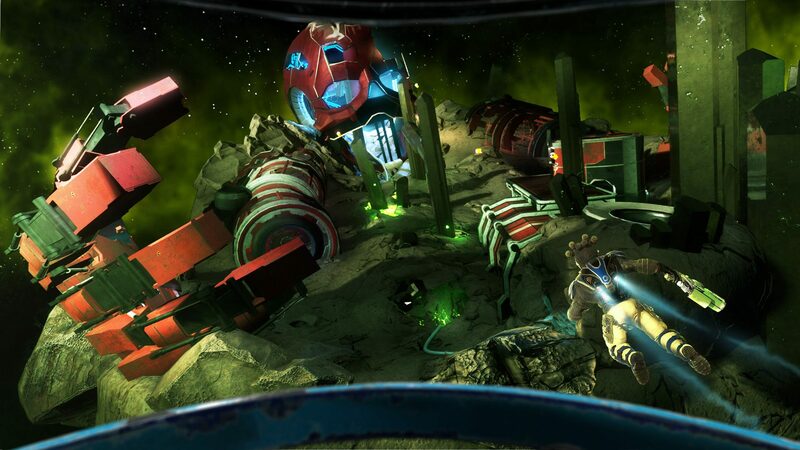 Titles such as Eagle Flight and Werewolves Within had basic premises with mid-tier production values, but offered interesting ideas in implementing a fun and social experience within the VR space. The other thing most of Ubisoft’s VR releases share is their commitment to online interactions. Werewolves Within and Star Trek: Bridge Crew are almost purely multiplayer-focused, for example. To support this, Ubisoft offered cross-play between PCVR and PSVR users to help give the community some legs. Unfortunately, the lack of depth in these games combined with the smaller user base that the VR market has in general, these releases end up being forgotten about fairly quickly. Space Junkies feels like a small step forward in those departments, but still doesn’t do enough to stand out in a galaxy of online shooters. Rather than just relying on a single hook, Space Junkies is a retro inspired arena shooter with an anti-gravity twist. 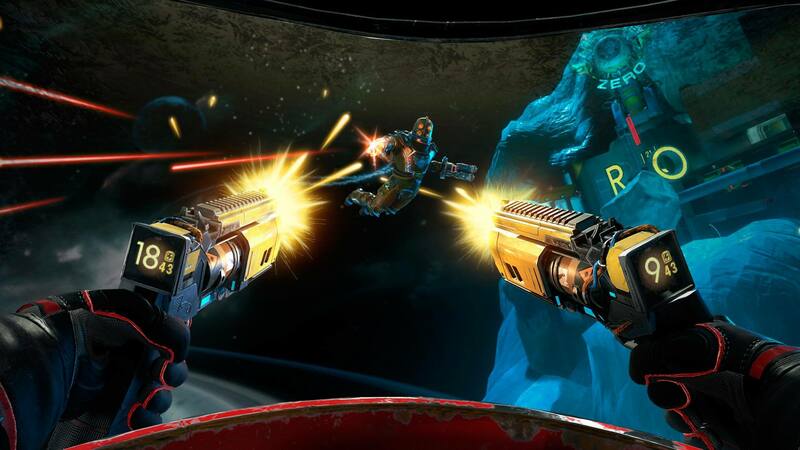 While yes, the anti-gravity mechanics are certainly a gimmick in their own way, the game plays like a traditional multiplayer shooter that calls back to classics such as DOOM, Quake and Halo. Four players slug it out online in well designed maps with weapon pick-ups scattered throughout. While this doesn’t sound like the most mind-blowing idea, I thought the maps were well built and I had fun playing through them. However, much like those games from over a decade ago, there does feel like a lack of content when comparing it to other multiplayer games in the market. The anti-gravity and traversal mechanics work quite well and I’m confident that after the five minute tutorial, you’ll be flying, strafing and boosting in no time. The game uses a clever method of separating the camera from your helmet, so you can be looking in one direction but tilting your head slightly in another direction to aim your flight. It sounds complicated but it works well. I also found that the camera detachment works well for combating motion sickness. The whole experience felt comfortable at all times. I do think the shooting feels a bit off in this game, though. I was playing with the DualShock 4, which employs its lightbar for aiming in Space Junkies, with the left and right weapons mapped to L2 and R2. This makes the whole affair feel clunky and cumbersome. It’s a shame the game doesn’t support move controllers as it’s basically a dual-wielding game. The lightbar just doesn’t react as well as the Move bulbs when you’re aiming weapons and this can create some unnecessarily frustrating moments. When I was able to find games, I was actually having a good time, and I can see Space Junkies as being a nice way to cool off. The caveat being that you might struggle to actually find a match. There were a few times where I was standing around and goofing off in the lobby for almost 10 minutes. If this is the case for launch, then I am not sure I’ll be able just pick up and play this game a few months down the track when I want a fun distraction. The visual presentation is actually quite nice, if not overly memorable. The development team have opted for a simple yet colourful art style, which pops nicely in the headset. The game also employs a somewhat silly and comedic style that is reminiscent of Borderlands and so many other hero shooters out in the market at the moment. It isn’t bad, but it does feel just a little too familiar. Space Junkies is definitely a competently made game and you can absolutely have some fun zipping around space, firing blasters at other people online. However, its inability to create an identity amongst some stiff VR and non-VR competition will certainly hurt the game’s chances to attract a large player base as time goes on. Its well designed but feels dated, it’s got solid production values but none of it feels original. I’m more worried about the game’s future than anything else. I think this is probably Ubisoft’s best VR game to date, but it still needs to do more in the future to leave a strong lasting impression.